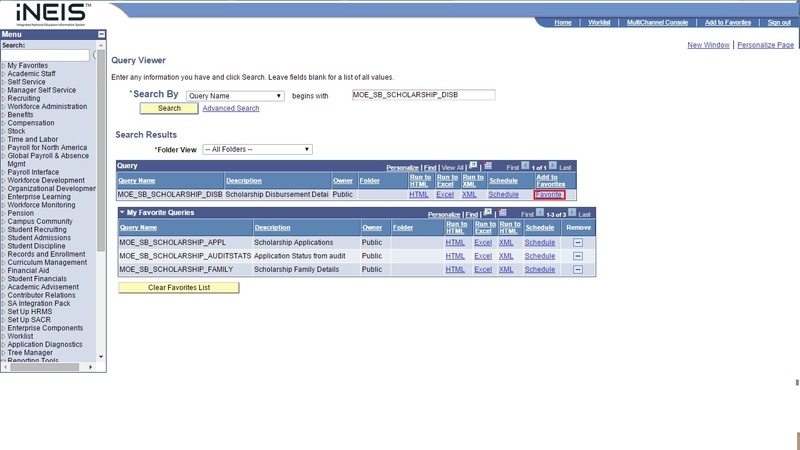 This function allows the users to generate a report or query of the total disbursement amount per country and per GL account within a specified date range. Roles Involve: MOE Scholarship Section - Verifier, Statistician, Finance Officer and Administrator. 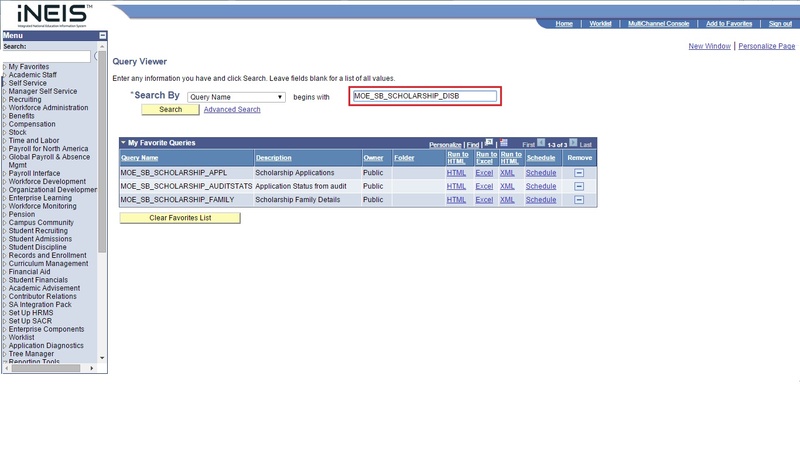 Click on Query Viewer field and enter MOE_SB_SCHOLARSHIP_DISB. Click on the Search button after that. Click on the Favourite link. Click on the Excel link. Enter the Date From and To fields. Click on View Results button. Note: An Excel file will be automatically downloaded into your computer, open the excel file.